CRONJE. "Do you want Cronje?" "Do you have Cronje?" were questions some students asked on the streets of Lagos in 1977. Some question papers of that year's West African School Certificate, WASC, examinations organised by the West African Examinations Council, WAEC, had leaked. Original and fake question papers of the examinations were being hawked. The students called the leaked examination papers, Cronje. It was imaginatively named after the Mr. John Ayite Cronje who was Registrar of WAEC from 1965 to 1971. I still do not know why it was called Cronje, and not Ike since the WAEC Registrar at the time of the leakage was the novelist, Vincent Chukwuemeka Ike. Also, leaked papers were called 'Expo." Leaked question papers are different from cheating in the examination hall. This was called "Egun" (Yoruba word for masquerade) "Orijo" or "ECOMOG" (after the West African intervention force in Liberia). Leaked question papers, and awarding marks to candidates were also accusations against the Joint Admissions and Matriculation Board, JAMB, that is responsible for admission into tertiary institutions. At a point, the whole integrity of the JAMB Unified Tertiary Matriculation Examination, UTME, was called to question as candidates that were supposed to have scored high marks in JAMB, could not cope with undergraduate studies. This led tertiary institutions to be conducting their individual Post-UTME examinations as the basis for admitting students. Although JAMB has restored the credibility of its examinations to the extent that even when Post-UTME virtually did not take place last session, the institutions had no cause to complain. WASC is a test of competence, and if its supervision and integrity were beyond doubt, JAMB would have become more a clearing house for entrance into tertiary institutions, than a full examination institution. Whatever the case, the issue of leaked question papers, remain a major challenge universally, especially when the emphasis is on passing examinations rather than the knowledge and competence of the student. The first place I learned about this being tackled was in the Obafemi Awolowo University (then University of Ife) where a popular lecturer, Dr. Dipo Fashina of the Philosophy Department, in the early 1980s, set examinations and gave the students the option of bringing text books into the examination hall. One of his then students said those of them who simply wrote the examinations, generally did better than those who spent valuable time tumbling through various books. This is called an Open Examination: an examination in which students are allowed access to books and other materials which are not likely to distract other students in the hall. With the internet through which all sorts of cheating are possible, including someone else writing the examination and transmitting it to the student, electronic devices are generally banned from this type of examination. 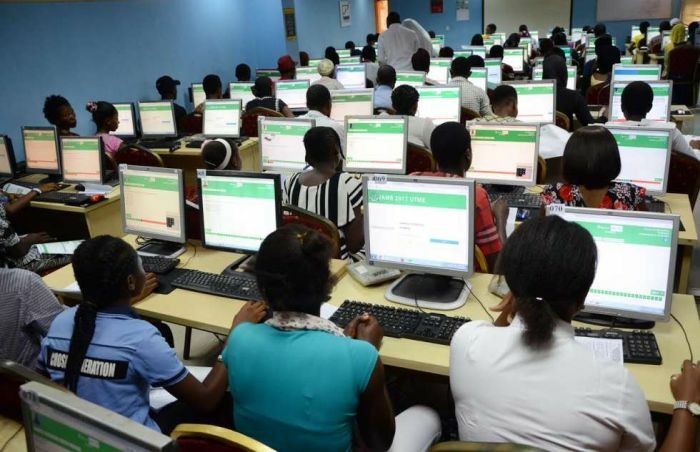 When JAMB Registrar, Professor Ishaq Olarewaju Oloyede, on Monday, March 18, met Critical Stakeholders on the administration of the 2019 UTME, he announced that the body is "Moving towards Open Examinations". The plan, he said, is for JAMB to set one million questions per subject, and pick from them to set the UTME examinations. This way, all candidates will have the questions in advance, so there may be no case of examination leakages. The logic, to me, is that a candidate that can, prior to the examinations, practice as many questions as possible, has a high chance of success. The tilt may be towards candidates having a good knowledge of the subjects they take at the examinations. It also means that those in the business of selling real or fake questions, for UTME examinations, may need to change trade. While this will be a major step towards checking leakages, it will not generally curb cheating in the examinations. On this, Prof. Oloyede said JAMB's strategy is to shop for all cheating devices available, study them and devise ways of neutralising them. JAMB, he said, has been so successful in this, that it has ways of detecting the various devices even if the candidate tries to conceal them. He said with JAMB using biometrics, the incidence of impersonation in the examinations has reduced, but JAMB discovered that in capturing the biometrics, a candidate may input a set of five fingers, and the impersonator, another set of five fingers. That way, either can get entrance into the examination hall. Consequently, JAMB will now insist on a candidate having to use a combination of all ten fingers for biometrics and before gaining entrance into the hall. Also, he informed that: "discretion is not allowed on this matter". The slogan is: "No Biometric Verification, No Examination". Where there are genuine biometric verification problems, the candidates have to come to the JAMB head office in Abuja at the organisation's expense, sort out the problems, and return to the office to sit for the examinations, also at the expense of the organisation. Additionally, JAMB has decided to equate registration infractions with examination infractions. So applicants guilty of any such infraction, will be delisted. However, it is not candidates alone that commit infractions. For instance, it has been discovered that some tertiary institutions who run pre-degree programmes, are deliberately creating room for such products to be admitted for their full degree programmes. So they deliberately weed out qualified candidates from the UTME in order to make room for preferred candidates. The rule now is: "No movement for merit candidate". Earlier, the JAMB Director of Test Administration Department, Dr. Yusuf Lawal, had explained that the organisation is going the extra mile on all issues related to the UTME because: "The best we can find anywhere in the globe, is what the Nigerian child deserves... We shall continue to ensure this nation gets the best." Doubtlessly, JAMB is one of the most improved institutions in the country. Buried in the midst of incompetence, it is difficult to find an institution like JAMB in the country that admits its failings, works to correct them and strives for excellence. As is sometimes said, the prize for hard work is more work; this may be why some agencies like the Nigeria National Petroleum Corporation, NNPC, and the Customs and Excise have turned to JAMB to assist them conduct their institutional examinations. However, despite the movement towards Open Examinations, the war against examination malpractices, is not about to be won whether in Nigeria or elsewhere; like that between cops and robbers, it is an eternal one.